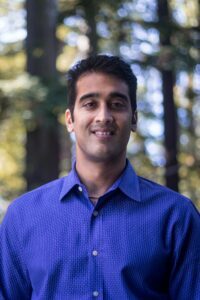 Akash Kumar is Visiting Assistant Professor of Italian Literature at Indiana University, Bloomington and Associate Editor of Digital Dante, having served as Managing Editor from 2014-2016. He earned his Ph.D. in Italian and Comparative Literature from Columbia in 2013. Akash’s research centers on the importing of science and philosophy in the early Italian lyric and Dante and on the implications of intercultural mingling in the Italian Middle Ages. His work has appeared in the journal Pedagogy, the Literary Encyclopedia, and the volume Eternity: A History (Oxford UP, 2016), with forthcoming pieces in The Wiley-Blackwell Companion to World Literature and the volume Games and Visual Culture in the Middle Ages. He has also just completed a collaboration with Richard Lansing (Brandeis University) on the first complete English translation of the poetry of Giacomo da Lentini. Akash is currently completing his first book, Dante’s Elements: Translation and Natural Philosophy from Giacomo da Lentini to the Comedy.